Many up and coming businesses are attempting to stray from the traditional 70’s style office set up in the hopes that it can help inspire and encourage their employees. 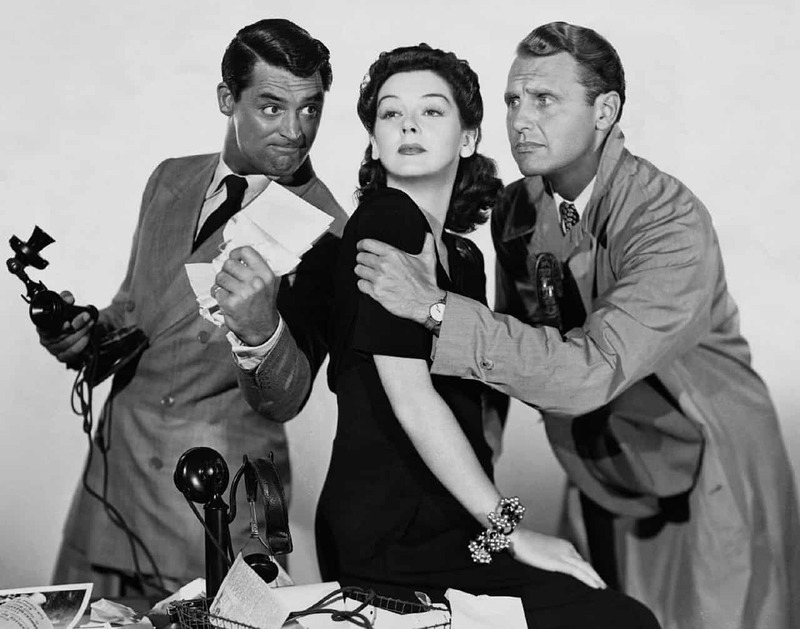 We spend, on average, 8 hours a day sat at small desks in rooms with no hint of personality to them, so the mention of ‘office refurb’ can feel like Christmas has come early. You may not have the budget for Giant Egg Pods and a Mini Golf Course like the Google offices, but there are many innovative and beautiful designs that are great additions to any office space. Read on for inspiration on how to create your own amazing office spaces for 2018. 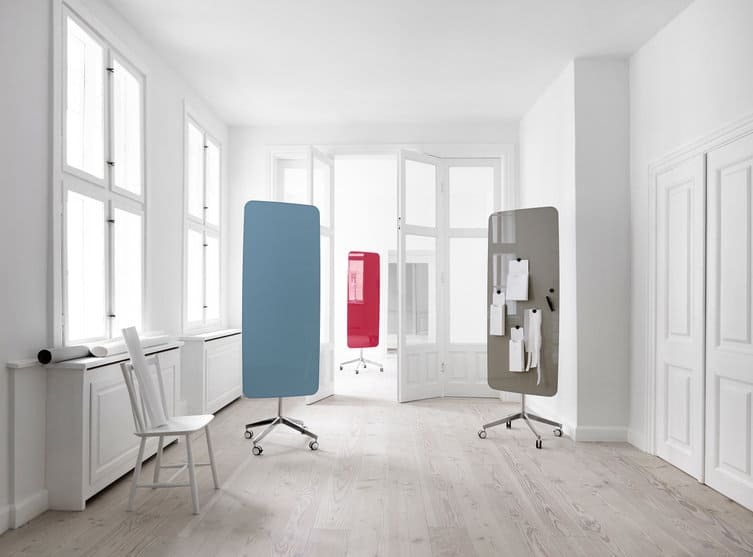 These Glassboards are designed by Christian Halleröd and are available in 25 different shades. 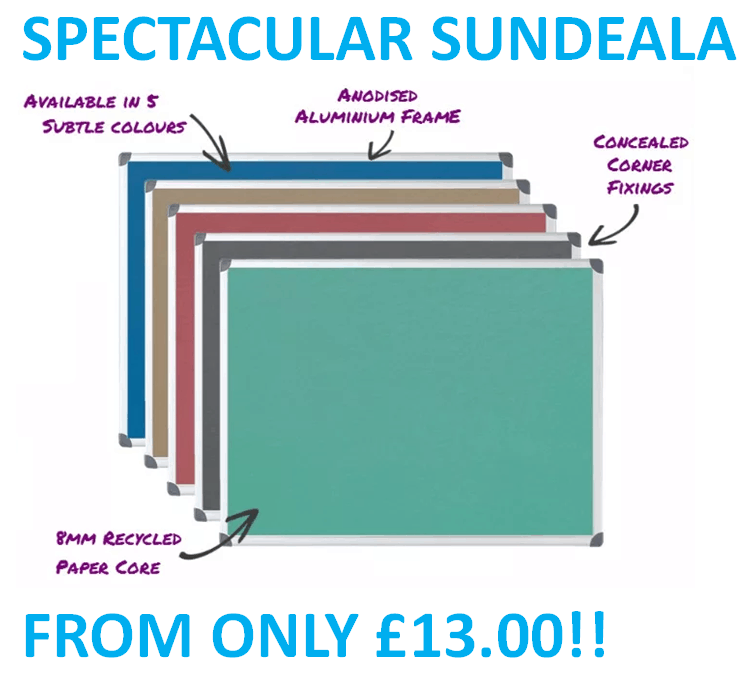 It offers a magnetic writing surface meaning you can also stick notes to it as well as scribbling your thoughts onto its dry wipe glass front. This brilliant quality Vitreous Enamelled Steel Writing Wall has a 25 year surface guarantee, a magnetic surface and a sleek, frameless edge. 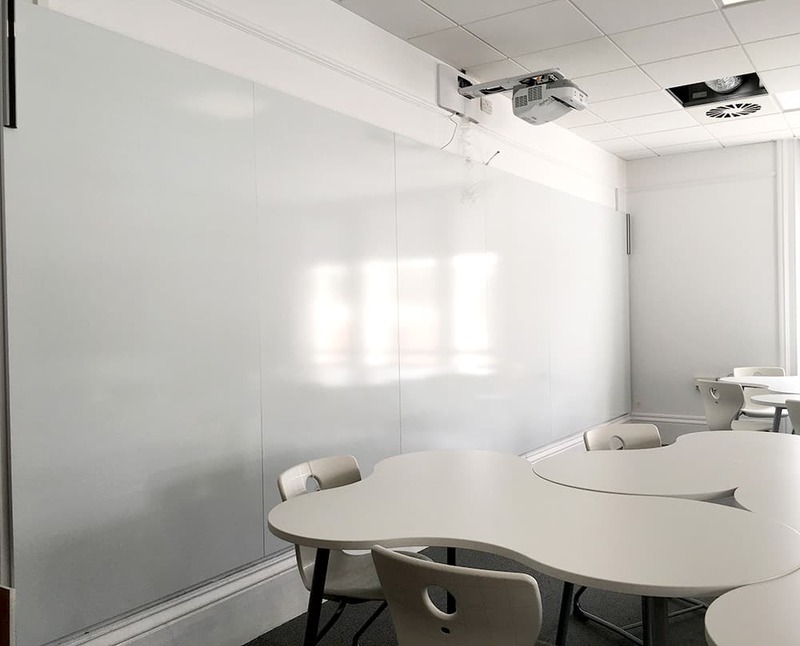 This product can be installed side by side meaning you are able to cover a large space or create a dry wipe wall using a high quality writing surface. 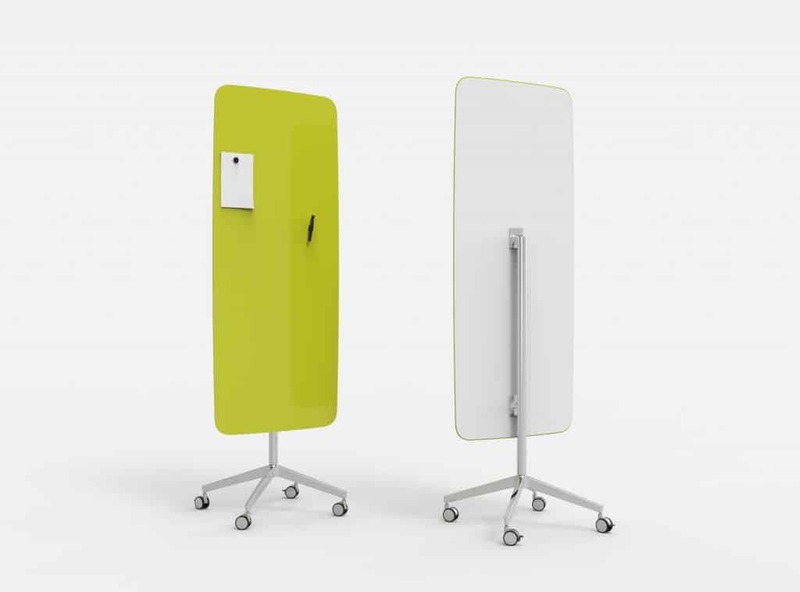 Perfect for meeting rooms, offices and lunch areas for people to voice their own opinions, ideas and concerns. 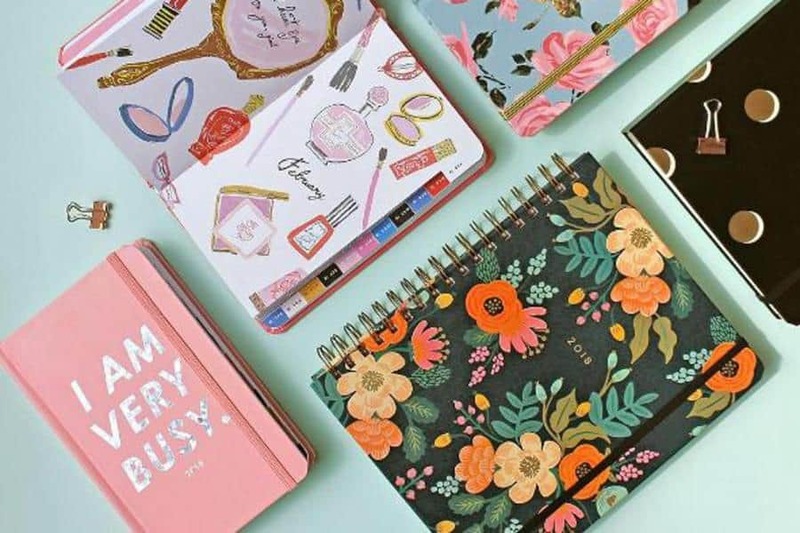 Little touches like personalised notebooks, list pads, and post it notes can help brighten up your desk and make it feel more you. 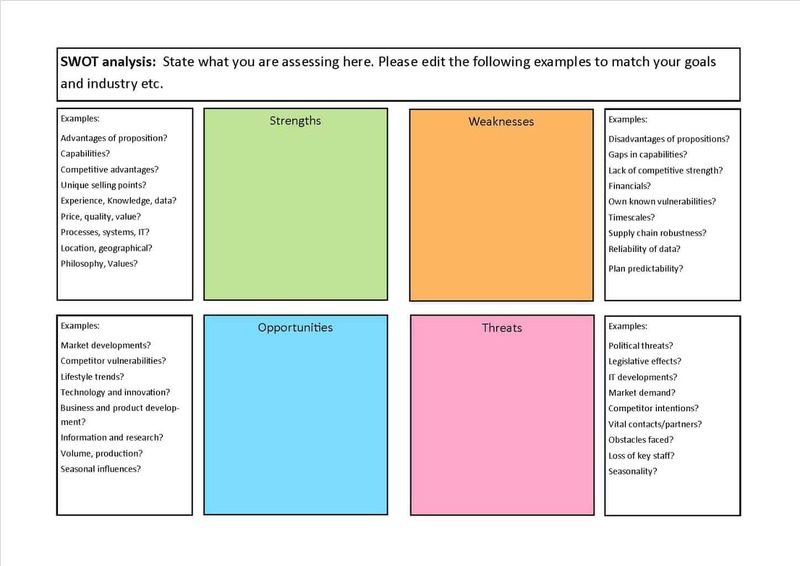 It can also help give the illusion that you are an organised person when you are consistently writing to do lists and posting sticky note reminders on your computer screen. The Lucia fabric working walls are designed to create comfortable spaces within an office environment. 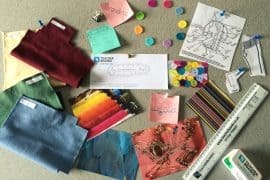 As well as separating specific parts of a work space, it can also be used as a colourful display board for notices and memos. The wheels have lockable castors for stability but can be moved around easily to create new shapes and spaces. We’re not talking about your typical ‘Live, Laugh, Love’ sign or a 90’s style motivational poster of a sunset. 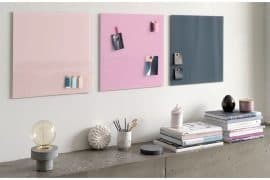 Instead you can opt for something of mutual office interest such as modern art, graphic art, or beautiful photography to help make the office environment more aesthetically pleasing without straying from the sophisticated feel you are wanting to portray. Non customer-facing offices tend to lack colour and decoration despite the fact that according to an article written by Freshome ‘decor items attract high quality workers‘. 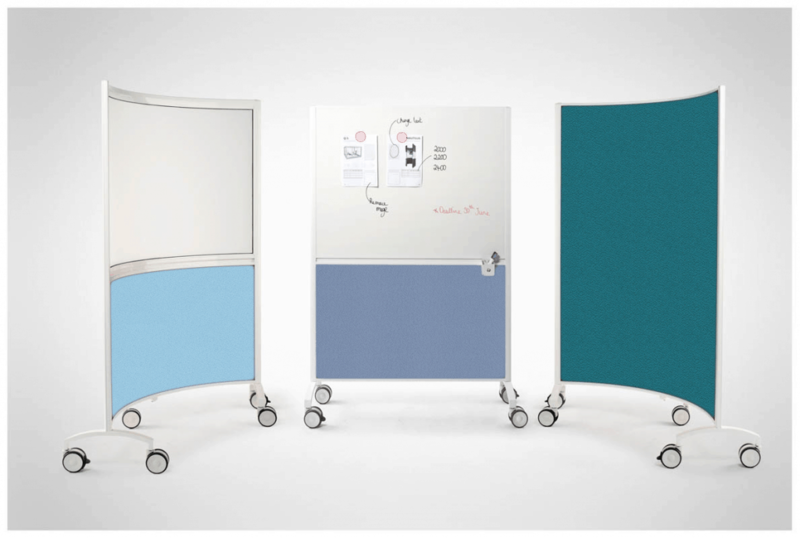 Printed Whiteboards are a great way of adding your own creative touch to your office space. 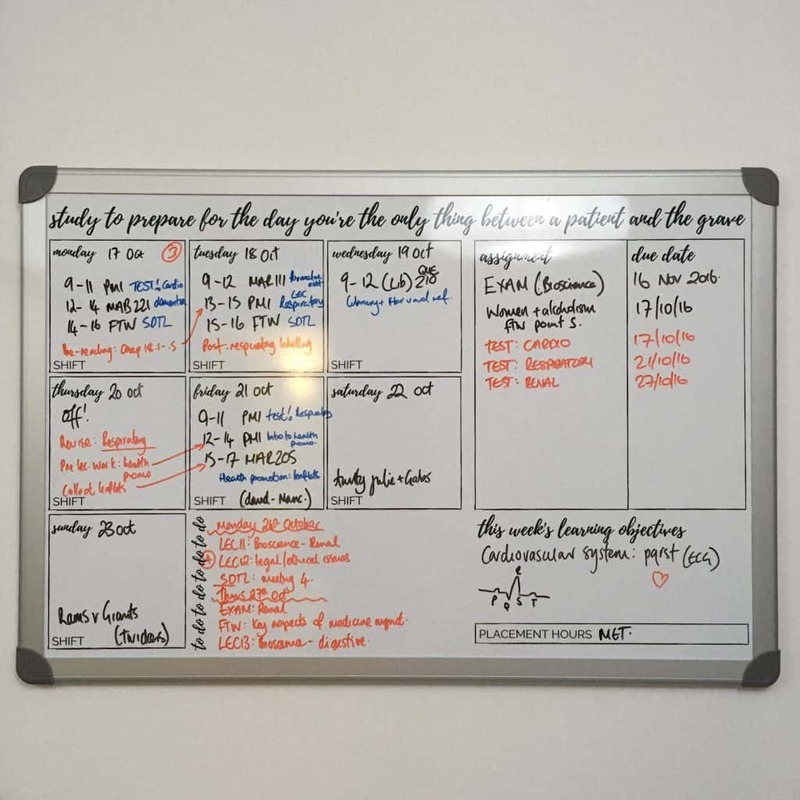 You can print just about anything on a printed board, whether it be an organised graph, a to-do calendar, or a piece of art, it has been designed by you to help you stay on your A game.